Burrito is “OK.” It’s wrapped in foil, a necessity. Begs the question: why would a burrito be cut with a knife, and the foil peeled back meticulously by hand? Whole wheat tortilla and paleo-leaning fillings are atypical, and poorly distributed. 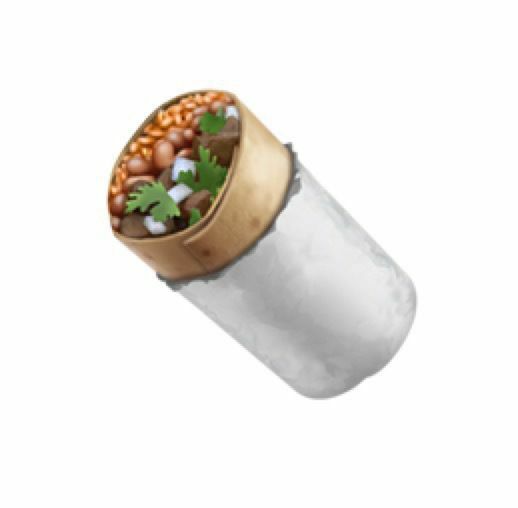 [Image: Apple emoji of burrito showing filling of meat, onions, cilantro, beans, and rice].